Sometimes a being dances into your life who is so indescribably joyful that they light up everyone around them. Djali Brown-Cepeda is one such spirit. We first connected on Instagram several years ago, where her energy and happiness were palpable through the tiny images on her feed. 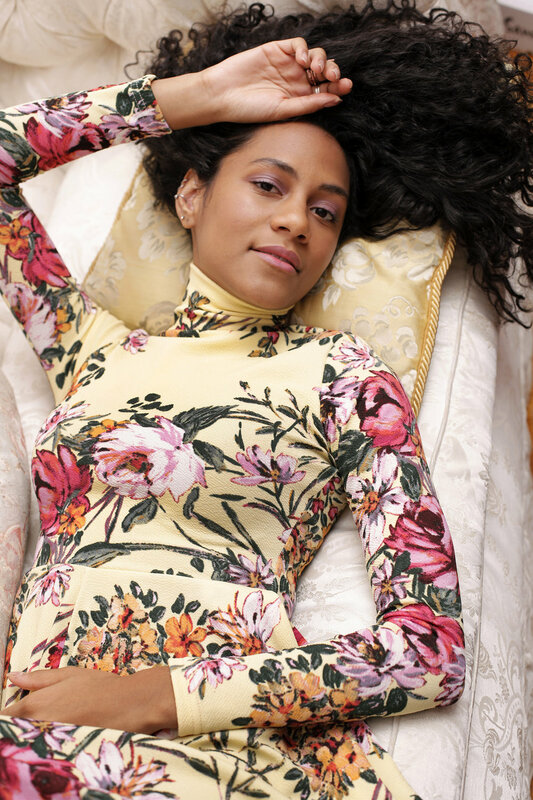 A true multi-hyphenate—filmmaker, model, doula-in-training—Brown-Cepeda glows with a profound sense of inner knowing that betrays a deep connection to her lineage and ancestry. Of Dominican heritage, she is Bronx born and raised—a true New Yorker. Committed to her community, Djali has long been interested in exposing the effects of gentrification on Latinx neighborhoods—this activism led her to recently start @Nuevayorkinos, an Instagram account that combats a lack of visual representation for the Latin experience in NYC through shared images of immigrant life in the city. Followers submit old family photos and stories that she re-posts, creating a user-submitted archive of Latinx identity. Profiled on the local NYC news (watch here), the expressive and passionate Brown-Cepeda is everything that inspires us in a lady.